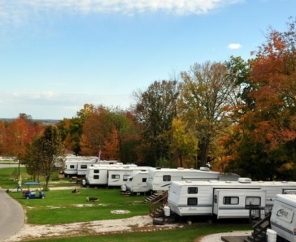 Relaxing RV Park in Wisconsin. Celebrating 50 Years! 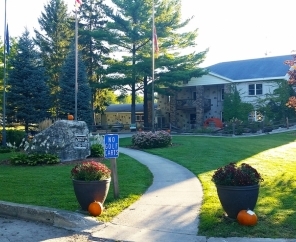 Unwind and relax with a trip to Plymouth Rock RV Resort. 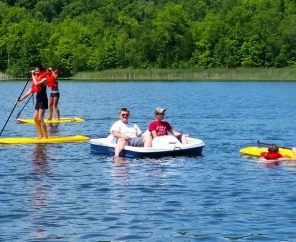 We are a gated RV park in Wisconsin with action-packed weekends, themed activities and fun-filled events that will entertain the whole family. 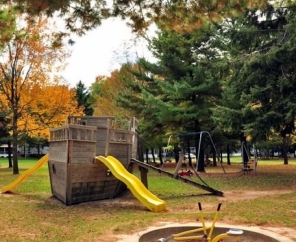 Featuring an impressive four playgrounds, two pools, hot tub, biking, boating and kayaking, our Plymouth Rock RV Resort has everything you need and more. 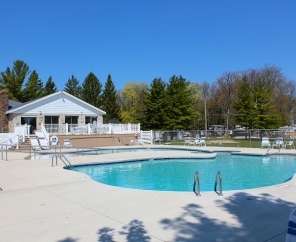 For even more fun, we also offer a dance hall, baseball field, basketball and volleyball courts and an outdoor movie theater. 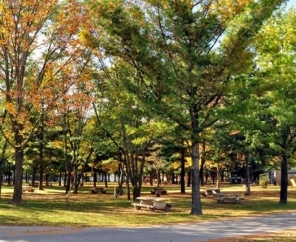 This Wisconsin RV resort also offers a variety of campsites suitable for any group. 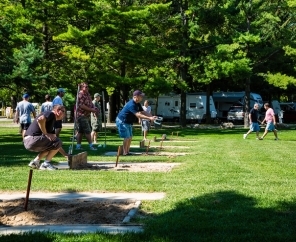 Try out "wagon wheel" sites, popular among groups or individuals interested in a social setting. 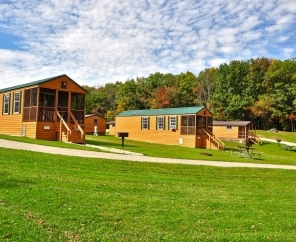 For added luxury, stay in one of our two-bedroom cabins, or better yet, a deluxe cabin! 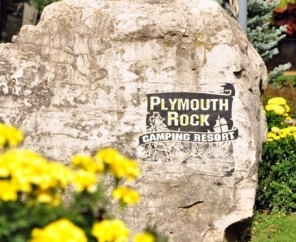 Whether you camp in a 40-foot RV, a 32-foot trailer with slide outs, a pop-up, or a one-man tent, Plymouth Rock RV Resort has the campsite for you! Our full hookup sites include water, electric, sewer, and cable. 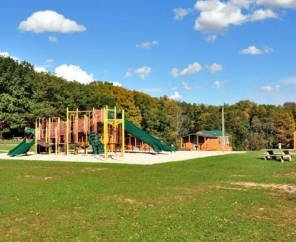 Ask our staff about the many off-site attractions nearby! 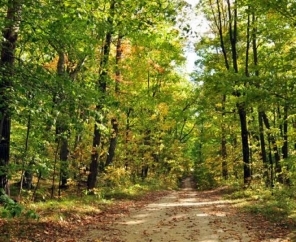 We look forward to making your Wisconsin RV camping trip one to remember.